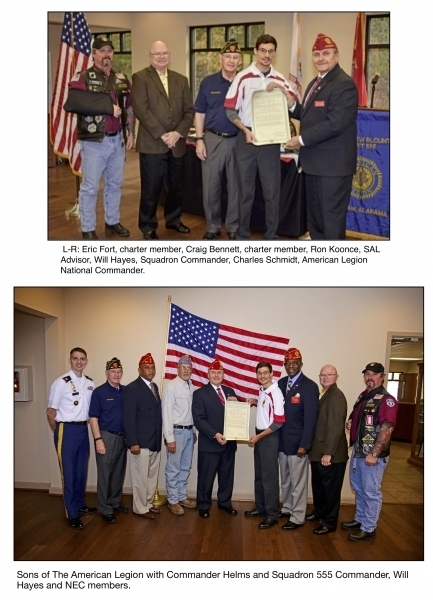 Sons of The American Legion Matthew Blount Squadron 555 Presented with Unit Charter by National Commander. National Commander Schmidt presents official Squadron 555 Unit Charter to Will Hayes, Squadron Commander. The Squadron has 24 members that includes 23 charter members.